eloise: you were the flower girl in your uncle Matt’s and aunt Jenn’s wedding this past saturday and you did wonderfully! 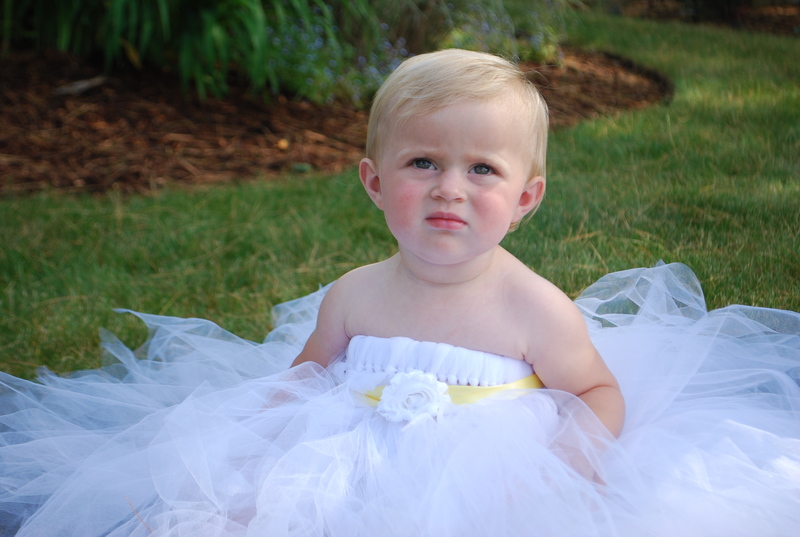 We stuck you in this very uncomfortable but unforgettably darling flower girl dress and you wore it like a pro. It was so hard not to keep taking photo after photo of my darling angelic looking girl. We changed you out of the poofy thing right after the ceremony. I walked you down the aisle and you seemed pleased with all of the attention you were getting. A happy memory for us indeed. My little flower girl! This entry was posted in 52 project and tagged 52 project, flower girl. Bookmark the permalink.